​Vouchers are available to buy in our venue (printed on special paper with 3D UV coating) and to order via e-mail (PDF format) and print at home. ​Looking for even more unique gift certificate? 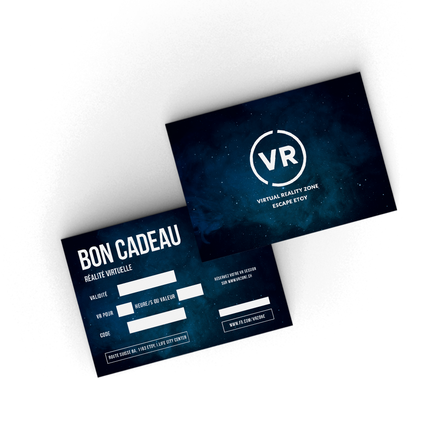 Surprise your loved one, friend or a classmate with a voucher to our VR ZONE! It's a place designed to deliver immersive entertainment through the best hardware available on the market - HTC VIVE.